Photographer Keith Ellenbogen, a regular Aquarium blog contributor, is on the expedition capturing stunning underwater photos of marine life as well as these aerial images of Nikumaroro Island that were made using a kite. 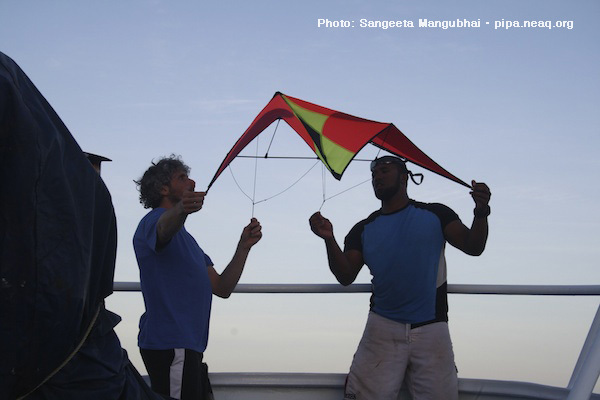 But when our team is on Nikumaroro, they are busy gathering biological information about the corals, fishes, and seawater chemistry (similar to their work on the other islands, detailed in previous posts). Amidst all the hard work, a bit of fun is definitely welcome! 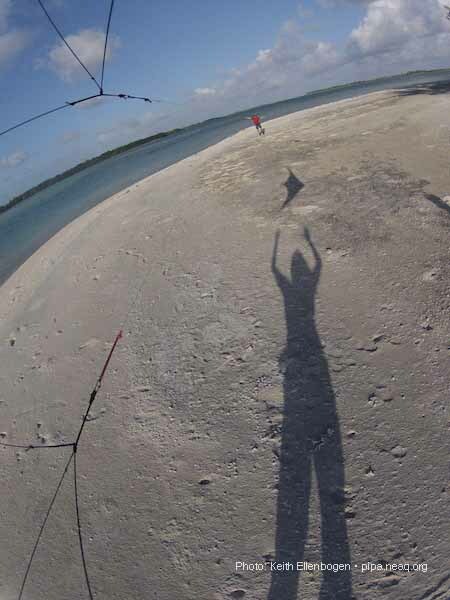 One of the goals was to collect water samples from the Niku lagoon - these kite photos helped to verify the shallow nature of the lagoon, and provided a fun way to contextualize the site of sampling. 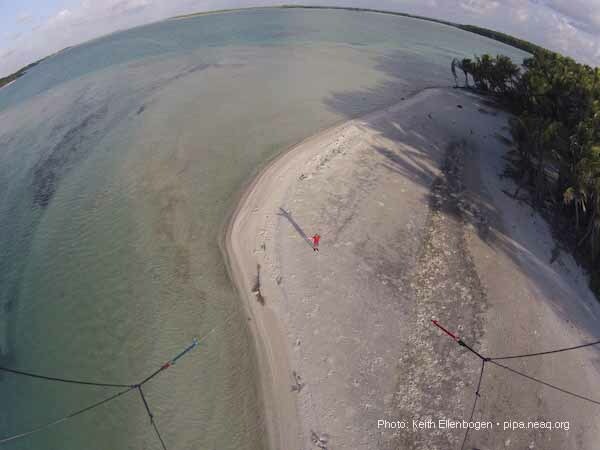 In this case, Keith and Jay mounted a GoPro camera to a kite in order to get a birds-eye view of the island, without taking on Amelia-style risk. :-) We are happy to report that there are no missing aviators as a result of this activity. Instead, just some great photos! Not bad for a team that primarily works underwater. Enjoy! 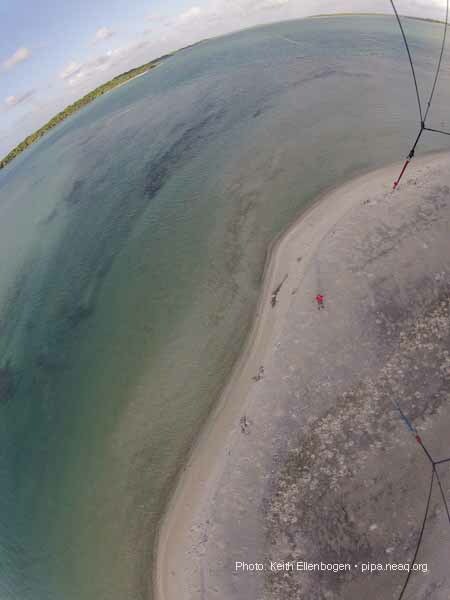 Expedition members Keith and Jo test the aerodynamics of the kite and camera. which is being controlled by Keith. I love kites. I use to make kites before when I was a kid and it was fun. But I can still make kites today, the big ones.